Sam Heads and his team had just received a donation of fossil insects at the Prairie Research Institute, University of Illinois at Urbana-Champaign. But when they started going through it, Heads realised that one of the fossils wasn’t a bug at all. “It looks like a mushroom,” he said. He showed it to a colleague. “It looks like a mushroom,” the colleague said. They brought it to their mushroom expert (a mycologist), Andrew Miller. “That’s a mushroom,” he said. The team analysed its sample, then did a literature review of all the papers on fossilised mushrooms. It wasn’t just a mushroom they’d found. It was the oldest fossilised mushroom. “It was a bit of surprise,” Heads told Gizmodo. It was in a collection of fossil insects, after all. 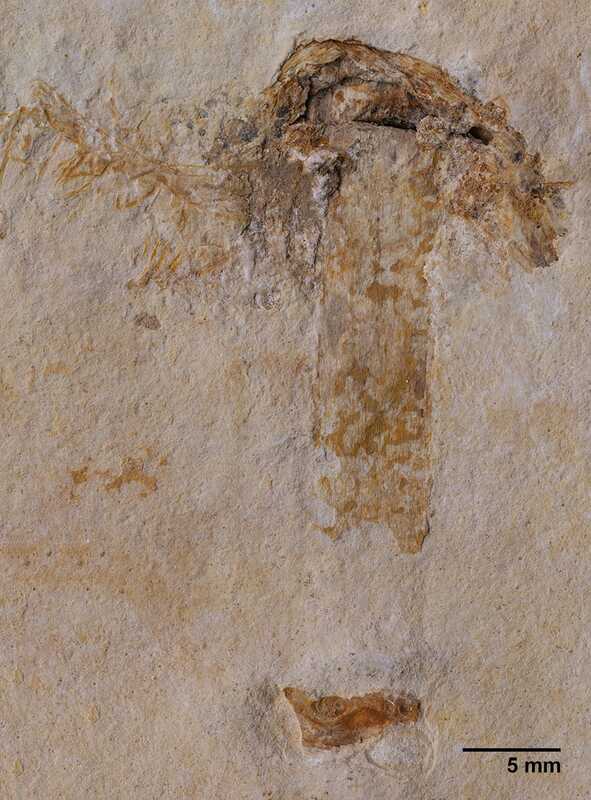 The team named their find Gondwanagaricites magnificus, essentially meaning that it was a magnificent mushroom from the Gondwana supercontinent. It comes from Brazil’s Crato formation, a spot with lots of especially well-preserved fossil deposits, called Lagerstätten. Based on that information, the fossil is probably between 113 and 120 million years old. Soft tissue normally decomposes, so fossils like these are especially useful for finding new species that’d be lost to time otherwise. Other scientists had found the now-second oldest mushroom in Burmese amber. As for the identity or how it’s related to modern mushrooms, that’s less certain. G. magnificus might look like more modern mushrooms but mycologists often use the shape of their spores, pre-mushrooms, to determine what species they are. This sample didn’t have any spores, according to the research published last week in PLoS One. And palaeontologist Thomas Holz Jr. did point out on Twitter that this is the oldest mushroom, not the oldest fungus. I’ve asked some mycologists to take a look to see if they could give me some more answers as to the mushroom’s identity, and will update the post if I hear back. I did send the paper to Dr. Khalid Hameed, a mycologist from Duke University, who immediately thought it looked like an Agaricus mushroom, the same genus that that includes field mushrooms and the common edible mushrooms (which includes portobello and cremini mushrooms).